Main Street in Waterville is pictured Aug. 30, 2016. 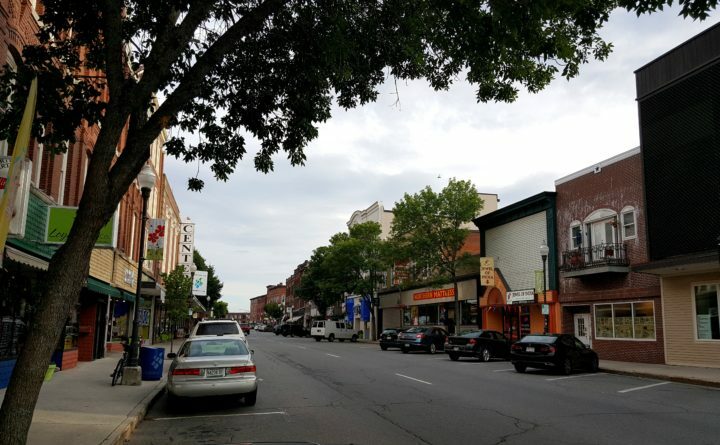 Downtown Waterville, which is undergoing a transformation funded largely by Colby College and the Harold Alfond Foundation, on Tuesday saw a new grant program open up to help property owners restore their buildings. The Facade and Building Improvement Grant Program will provide a total of $60,000. Grant applications, due March 1, will reimburse up to half of the total estimated project budget, according to the Central Maine Growth Council, an economic development organization that will oversee the applications. The money is to be applied to projects that begin this spring. The Central Maine Growth Council said the grant program will help property owners and commercial tenants restore, renovate, repair and redevelop commercial buildings, including investing in their commercial storefronts, awnings and signs. The grants also will go toward restoring the original character of historic buildings. Garvan Donegan, the growth council’s director of planning and economic development, said he already has received substantial interest in the grants since announcing in early December that they would become available. “The Facade and Building Improvement Grant Program joins the Opportunity Zone, free Downtown Waterville Wi-Fi service and the federal BUILD grant as a vehicle for visual transformation and increased business investment in downtown Waterville,” said Waterville lawyer James LaLiberty, who is a member of the grant program’s advisory committee.